I’m proud of Anya for many reasons, but it is her heart that is so special. She is so giving, loving and caring that it melts my heart! This past week was insanely busy and as I was trying to clean up the house and getting ready for my parents to come she was busy in the kitchen! She kept telling me not to come in and although I really needed to get in there I waited. To my surprise she made us lunch and set the table so sweetly for us. How blessed I am to have this little one! This table was completely bare before Anya got a hold of it! I’m always trying to create little memories with Anya. 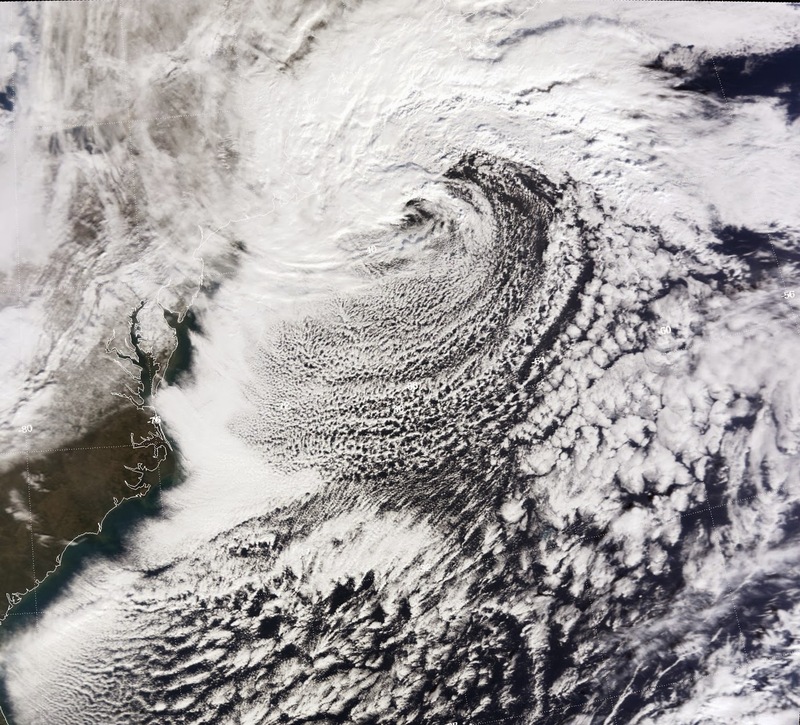 Today was a beautiful one that we’ll remember for a long time. I took her from school at lunch and we had a little picnic in the park. Below are some pictures of the little touches that made it special. A Lesson I Learned From The Fabulous Kiddo! Aim High! Being a parent is a reciprocal learning relationship. If you aren’t learning from your kids then something is wrong, right? 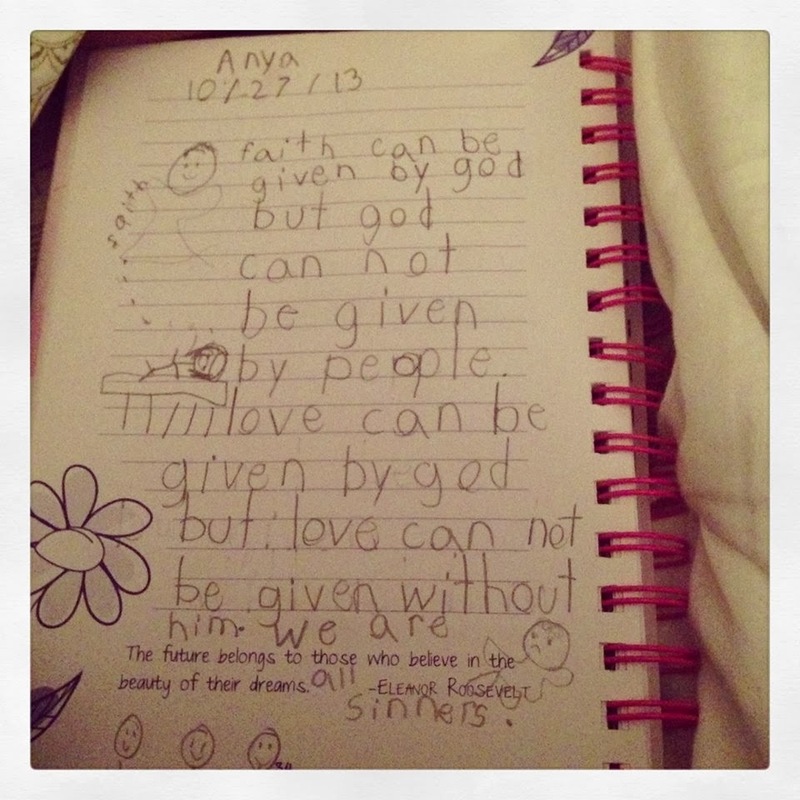 I’m constantly amazed at the lessons about life that I learn from Anya, my fabulous kiddo. Anya taught me a life lesson last week that I somewhat knew in the back of my mind, but didn’t always put in practice and that was, “Aim High,” If you’ve read my blog then you know that Anya is in ballet, actually since she was 3 years old. So for 5 years she has been dancing her little toes off. Well this year, she was eligible to try out for an open audition for the Ballet West Nutcracker performing at Kennedy Center in Washington, DC. As soon as she heard about the audition she wanted to try out. We talked about it, and to be honest, I wasn’t sure if she was ready because it is a huge commitment. If she made it she would have mandatory practice every weekend, sometimes Friday, Saturday and Sunday. That’s a lot for an eight year old along with school and ballet classes twice a week. As the time drew near, she kept reminding me that she wanted to try out. Still thinking it was too much for an 8 year old, I gently told her that maybe she should wait a year and she may be able to try out for her school’s Nutcracker performance. She looked me squarely in the eye and in all seriousness said, “Mama, that is not my dream, my dream is to perform in the Nutcracker at the Kennedy Center. Please mama let me try out.” Then she…cried, and I mean wailed that she couldn’t miss this chance. She really had me convinced before the crying started so I quickly told her she could try out before the girl fell out! She threw her arms around and me and literally still crying thanked me over and over. The next day, I got her out of school early and we went to the Kennedy Center where an abundance of bun heads were stretching, leaping and looking nervous. Anya got her number (#10) and waited until her group was called. We said a prayer beforehand and I told her to have fun and that I believed in her and I did. I won’t lie and say sitting there for an hour was easy though. Anytime your child wants something so badly and there is a chance they won’t get it, well wow it can turn your stomach into war zone. Finally, after an hour they said your children are coming down. Then before the kids came they said if you don’t see your child they have been chosen. I nervously looked and there was no Anya! She made it!!! My girl accomplished her dream! She aimed high and made it happen! When I was ushered into the elevator with the other parents I thought my heart would burst! She ran over to me and I never seen a smile so big. As I sat upstairs in one of the dance studios of the Kennedy Center I knew that I would never forget that moment. The moment when my determined girl went for her dreams and made them a reality. That night we screamed, laughed and celebrated and I learned a lesson from Anya and that is to aim high, go for your dreams and believe in yourself. Don’t just talk about it, but make it happen and know that it can be your reality. I am so proud of her not just because she will perform in the Opera House where so many great legends have once performed, but because she was courageous, brave and had faith in herself and fought for her dream all at 8 years old. If you ever read this Anya, I am in awe of you! You are extraordinary my sweet brave girl~! With only 2 days before school starts, I’m feeling nostalgic. My little girl is going to 3rd grade and I can’t believe it! It seems like only yesterday she was a tiny munchkin with little ponytails and now she’s a bigger munchkin with longer ponytails! But, she’s still my munchkin! Passing Down a Cloud of Witnesses to Our Children. Never Underestimate a Spiritual Legacy! This simply makes me happy! Whenever I’m having a bad day I’m going to visualize this picture in my mind. This was before bedtime. Anya had her bible, her journal and my grandmother’s bible out as she wrote and studied Genesis. She said keeping my grandma’s bible open made her feel closer to her and encourages her to study the bible. The bond Anya still has with my grandma who passed away when she was almost 2 is incredible and is from God. Again, my Eva is close to us always passing on her legacy. It is such a gift to pass down the spiritual legacies to our children left to us from our grandparents, parents, friends, and from mentors in the church. Our kids need that rich history of people to motivate them on their on spiritual journey. The bible speaks of the cloud of witnesses, I believe each of us have our witnesses that we can teach our children about on a daily basis. By taking what we learn from those who nurtured and encouraged our own spiritual walk and passing it down to our children we can keep a legacy of faith going. That adage it takes a village to raise a child is true on so many fronts, especially in the spiritual realm. If you are a Christian then it is your responsibility to teach your children about Christ, help them learn his word, and surround them with those who are spiritually encouraging and nurturing. Building a spiritual foundation for our children is not a one person job, so gather your workers and start this amazing journey for your child and for the body of Christ. We Made It To San Francisco!!! Well, we made it to San Francisco and had a beautiful trip full of memories and laughs! God works out everything as he plans not the way we plan. So because of the snow storm coming back we stayed an additional 2 days in San Fran which was a total of 6 awesome days! Anya was the best traveling buddy and to be honest there is no one else I’d rather go on a vacation with than her. She was totally go with the flow and enjoyed every minute. We saw so much and did so much, not to mention she had a chance to meet one of my best friends! Here is a peek into our belated vacation and this just touches upon what we did! The day started early at 4 am to catch a 6 am flight! She was a good sport! After a 6 hour flight we arrived! Our hotel was great and in walking distance to Fisherman’s Wharf which was the first place we hit. There’s Anya with her sunglasses, her first purchase. Before Pier 39 though we stopped at this famous little place! She met the aqua green marine guy..yeah we aren’t sure what this was! LOL! Anya was a bit hesitant about holding that finger! She climbed the Musical Steps at Pier 39 and made music! My favorite thing to do on Pier 39 was seeing the sea lions! Anya got to ride the double decker bus, yes there were day tours! We walked and walked and walked…. We went to a cool cafe at North Beach and had some goodies!! Breakfast was our favorite meal! The lone cypurs tree was a sight to behold! We went to the Golden Gate State Park! I love the Tea Garden! 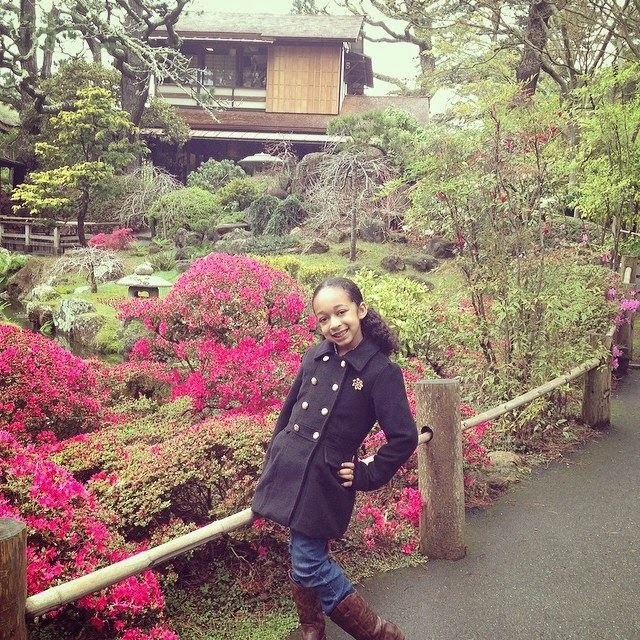 Anya loved San Francisco and plans on living near the beach one day in California! Hopefully she will still want me to tag along! Anya’s World…What a Beautiful World It Is! I’m always humbled by her sweet little spirit. I hope everyone had a great Labor Day weekend! Summer is coming to a close so I hope you are squeezing in all those last minute summer fun activities or traditions you share with your family. This year we did something totally new! 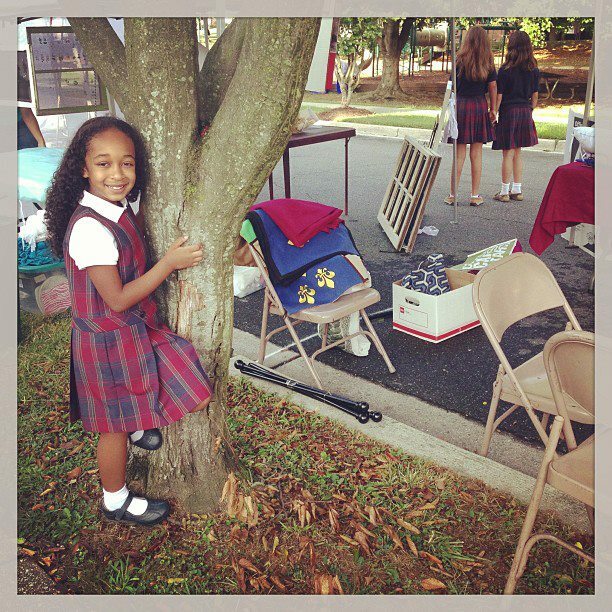 Anya will be attending a new school and every year the school has a presence in the Labor Day Parade, so Anya had the opportunity to march in the parade with her classmates. It was hot as a furnace, but my girl was a trooper! I actually rode in the school van behind them waving a blow up paw in the air! Ah the things you do for your kids. Joking aside it was a great time and I’m glad she did it. Hope you had a fun day celebrated with those you love!